Hong Kong Offshore Company Formation. ISOG Hong Kong Lawyer and Hong Kong Attorney at Law Can Help You With Hong Kong Offshore Company Incorporation. Hong Kong is located on the south coast of the People’s Republic of China. There is an estimated population of 7 million inhabitants and an area of less than 1,092 square kilometers. The official language is English and Chinese and its currency is the Hong Kong dollar (HK $). The main industries are financial and investment services. Company law is based on the Companies Ordinance of the United Kingdom of 1932, which has been amended on numerous occasions, most recently in 2005. 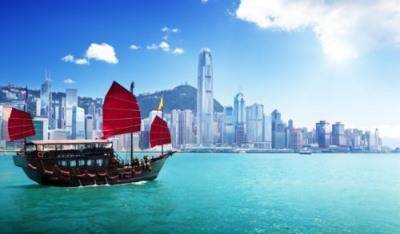 Hong Kong offshore companies can carry out the same types of business as onshore companies and the liability of its shareholders is generally limited to the amount of capital they have invested into the company. Hong Kong offshore company incorporation and Hong Kong offshore company formation are quite simple, as well as its management and administration, but it requires some planning. In fact, a company does not need to be administered in the country of its incorporation. What you need to think about is the objectives you want to achieve by setting up a Hong Kong offshore company: Do you need confidentiality? ; Do you need to operate freely in European countries? ; Do you need to operate in countries which have a double taxation agreement in place? ; or Do you need to protect your company assets from confiscation or expropriation orders or similar actions by foreign governments? In all these cases, ISOG Hong Kong lawyer and Hong Kong attorney at law can help you with Hong Kong offshore company incorporation.